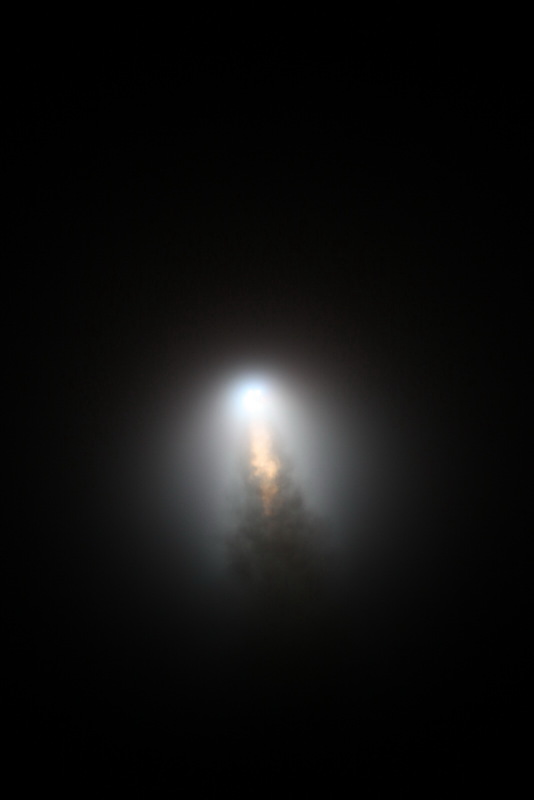 The 191-foot-tall (58-meter) Proton rocket took off from the Baikonur Cosmodrome in Kazakhstan at 1852:16 GMT (2:52:16 p.m. EDT) Thursday, soaring into an overcast sky at the historic Central Asia spaceport, the site of the Space Age’s first satellite launch 60 years ago next week. 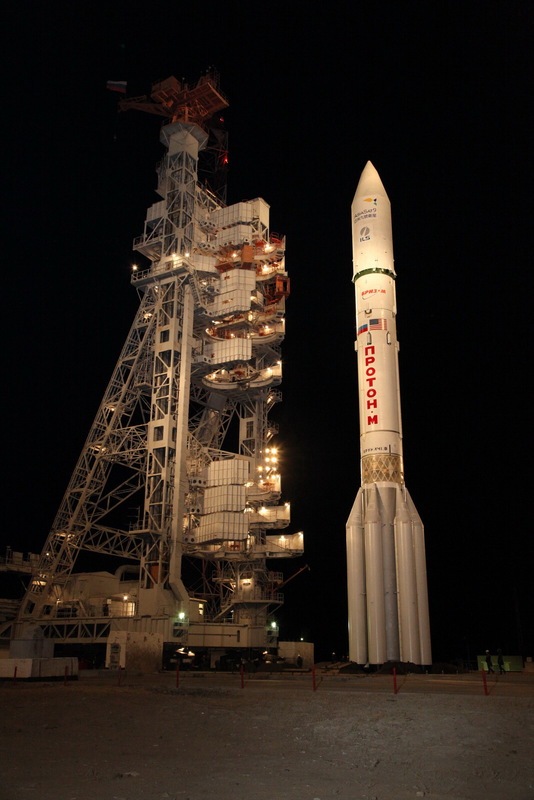 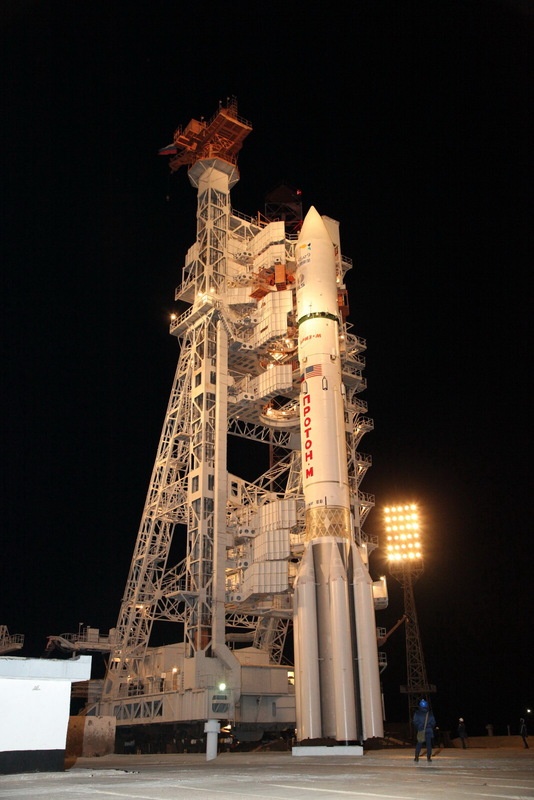 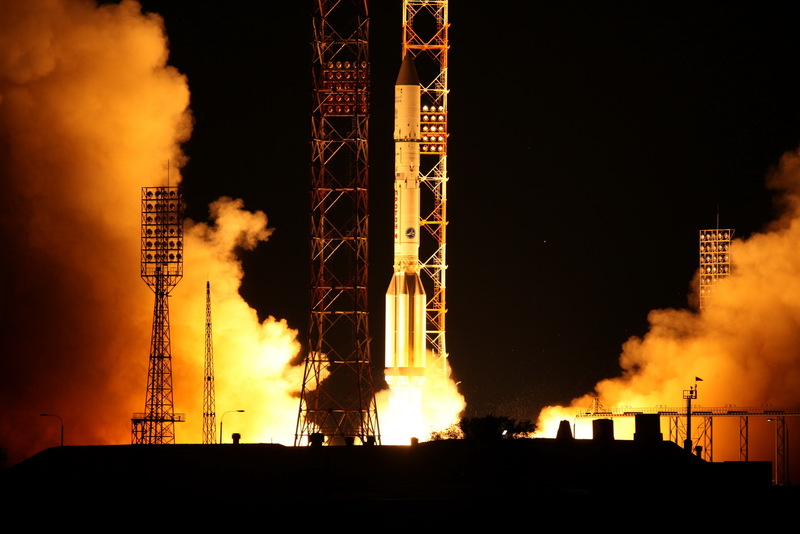 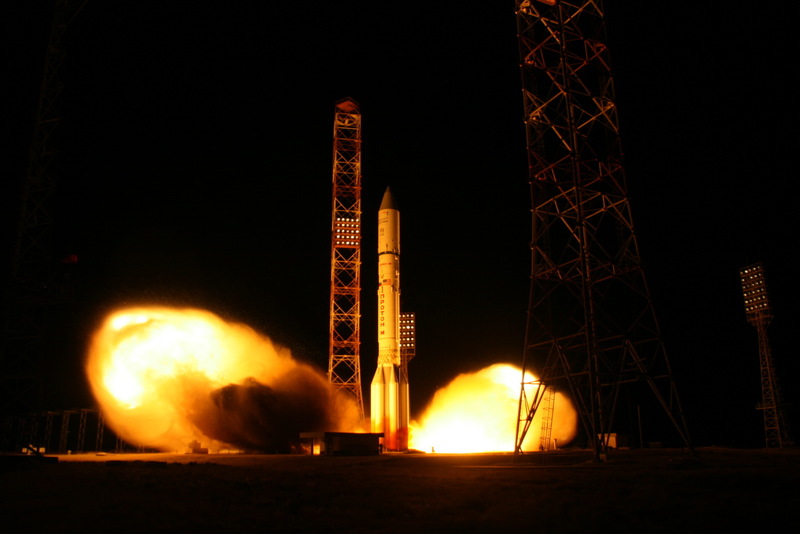 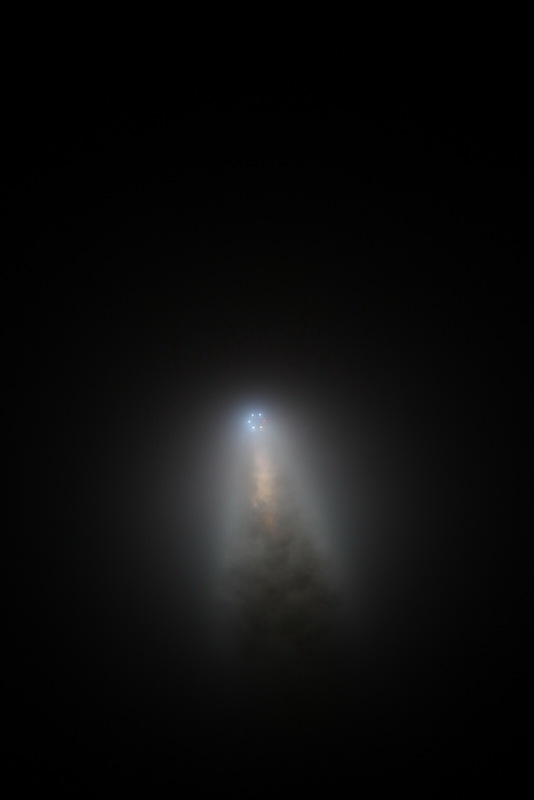 Six RD-276 main engines, consuming a blend of hydrazine and nitrogen tetroxide propellants, boosted the Proton rocket into the sky with nearly 2.5 million pounds of thrust. 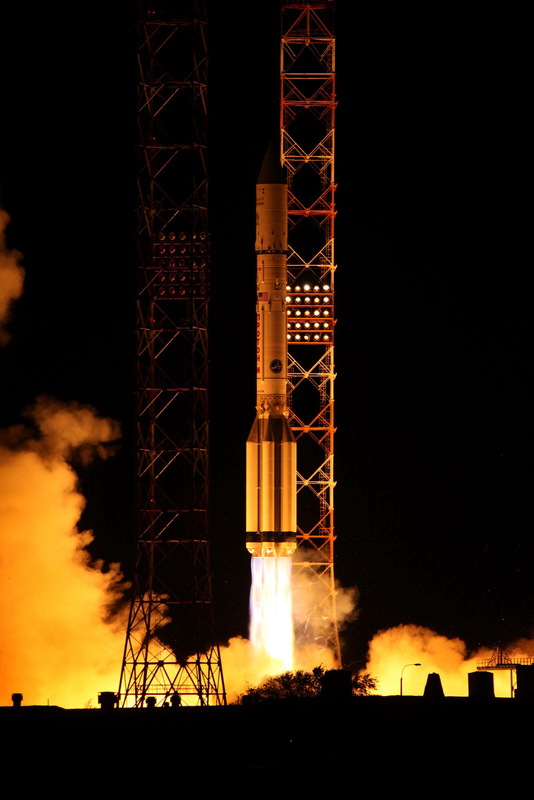 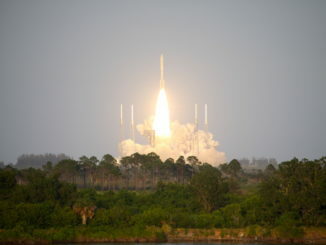 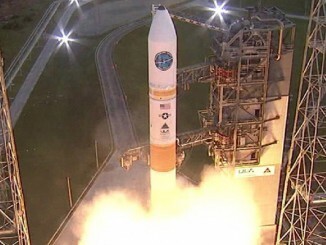 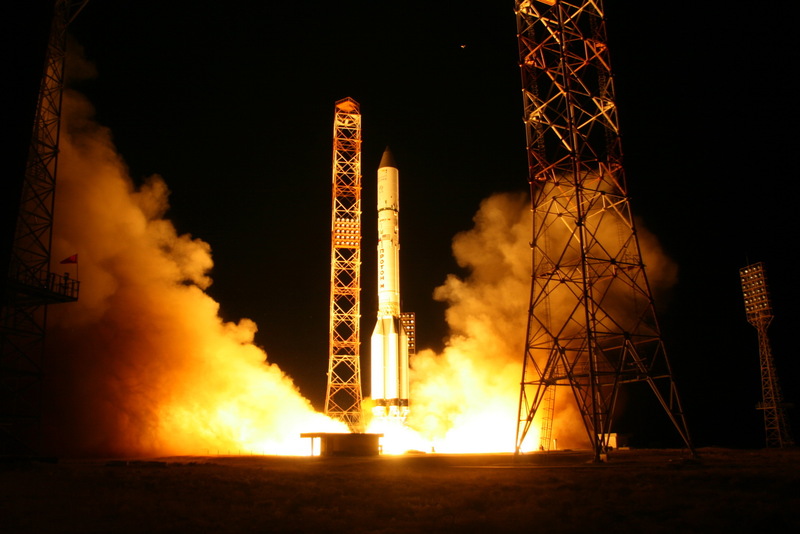 International Launch Services, the company managing AsiaSat 9’s launch, declared the mission a success after the Proton’s Breeze M upper stage deployed its satellite passenger into a high-altitude orbit around nine hours after liftoff. 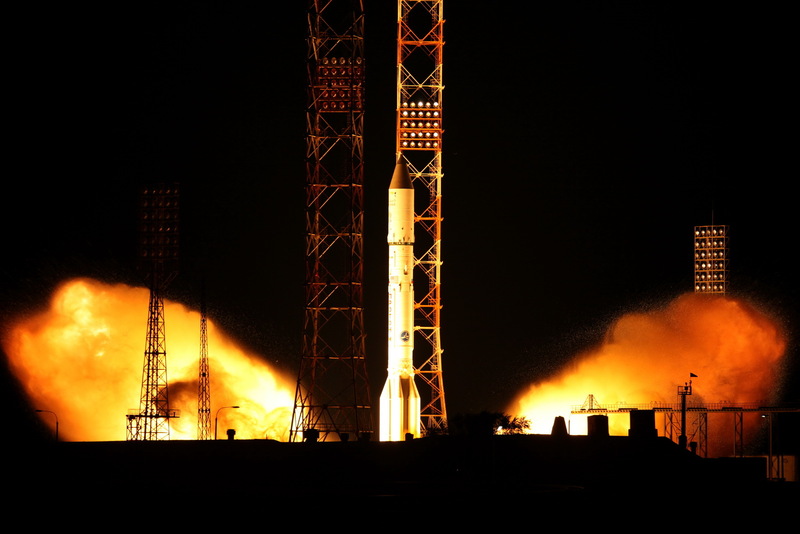 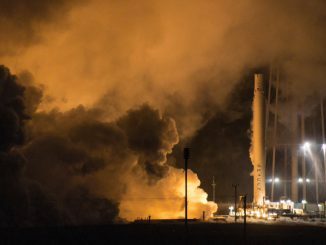 Photos below show the retraction of the mobile gantry at the Proton launch pad, then the rocket’s fiery liftoff at 12:52 a.m. local time in Baikonur.